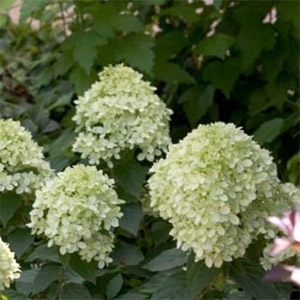 A new dwarf form of the ever popular 'Limelight' hydrangea, Little Lime sports the same great flowers and coloration as 'Limelight' but in a smaller package. It grows one third the size of traditional hardy hydrangeas. Dwarf hydrangea produces green summer flowers that turn pink in fall.